Free tennis taster sessions for adults and for children. Rackets available - just make sure you are wearing suitable trainers. All ages and abilities welcome. Come and play tennis for FREE at Warwick Tennis Club. Come and play on your own, as a couple, or a family. Coaches and members will be on board to help out. We have rackets and balls or bring your own! Come and ply tennis for FREE at Warwick Tennis Club! Come on your own, as a couple, a family. Coaches and members will be on hand to help out. We have rackets and balls or bring your own! Come and join us at our open weekend where we will be opening our club to all. We will be putting on taster coaching classes for junior and adults of all levels, exhibition tennis and promotional offers. We welcome everybody. Come and join us at our open weekend where we will be opening our club to all. We will be putting on taster coaching classes for junior and adults of all levels, exhibition tennis and promotional offers. We welcome everybody. At our event, please look out for the promotional offer that will be available on the day. Play tennis for free at Bourton Tennis Club on Saturday 28 April - fun sessions for kids with coach James Hilltout from 2-3.30pm, social play for adults of all ages and standards 2-6pm. Rusty racquets and beginners welcome. 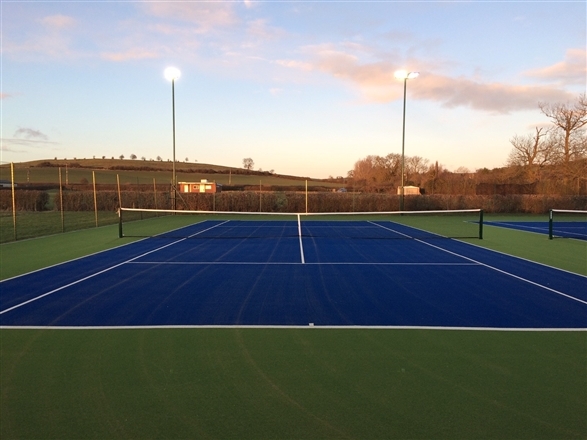 We always welcome experienced players interested in playing competitive tennis in the Gloucestershire League. Refreshments provided. Bring your friends and family for a great day out. Quainton Tennis Club celebrates the Great British Tennis Week-End. Join members, friends and local residents. Free entry for all. Non-tennis players are most welcome. There are also two table tennis tables. Join in with one of the made up tennis games or try your luck in the fastest serve competition for different age groups and sexes. Fun prizes. Delicious BBQ food and donation bar. Wimbledon ticket draw (for those entered).